What’s the “Realer” Reality: Augmented or Virtual? 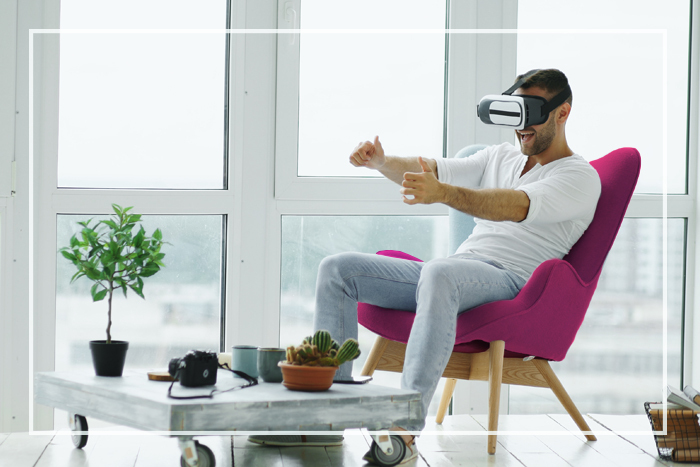 VR is the computer-generated simulation of a three-dimensional image or environment; it can be interacted with in a seemingly real or physical way by a person using special electronic equipment, such as a head mounted display with a screen inside. The easiest way to think of VR is this: it’s a completely separate and artificial world designed to change your reality and immerse you in it. Nothing is real, and everything is virtual. To put it simply: VR replaces reality. AR is a technology that superimposes a computer-generated image on a user’s view of the real world, thus providing a composite view; not a virtual environment, but rather computer-generated imagery on top of the user’s real view/environment. Think of augmented reality as a layer on top of your existing reality, not mixed into it. Basically, AR enhances reality. This kind of AR visualization can’t be interacted with as part of the larger environment, but only through your phone’s or iPad’s screen. You, however, control the content and marketing message. We have enjoyed learning about these and other new technologies at Xavier Creative House – especially how to use them to market pharmaceutical businesses and their products or services to customers. In addition, it’s enabled us to add meaningful technologies to our service offerings. At Xavier, we’d love to discuss our capabilities and your business needs at a quick meeting or a more official presentation. Give us a shout via email, social media, or our website, and let us show you what we can do! Reference: 1. https://next.reality.news/news/whats-difference-between-ar-vr-and-mr-0171163/. Accessed July 5, 2018.